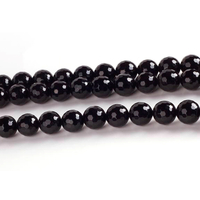 Black onyx is perhaps the most famous variety but is not as common as onyx with colored bands. Artificial treatments have been used since ancient times to produce both the black color in black onyx and the reds and yellows in sardonyx. 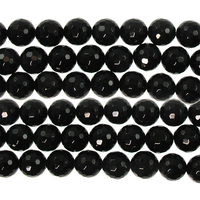 Most black onyx on the market is artificially colored. We have both shiny and matte finishes in more than 20 shapes and sizes on 8" strings. 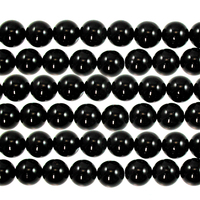 Metaphysically, black onyx is a great protective and centering stone that develops focus, strength and stamina - especially during stressful times.